Pours a cloudy, medium amber color with a moderate, off-white fizzy head that generates no lacing on the glass. Settled, its still medium amber in color but the body has become still and the head has completely deflated. 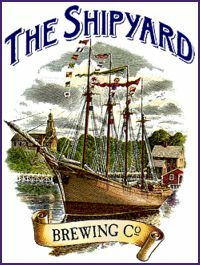 Aroma is subtle and buttery, not surprising as its brewed at Shipyard, most likely using the Ringwood yeast. Initial taste is lightly sweet, but quickly becomes bitter yielding a very dry mouthfeel. Chalky, dry taste with a light to medium body and moderate carbonation.